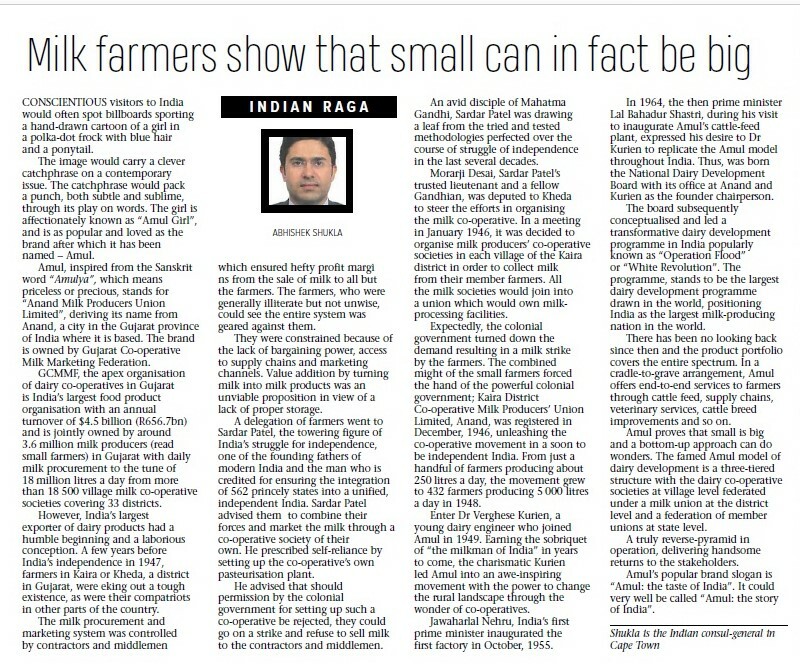 Consul General Abhishek Shukla writes in Cape Times of Oct 12, 2018 about AMUL, the cooperative movement that transformed rural milk production and marketing landscape in India. Invitation Tender Bids for Installation and maintenance of solar power system. Consul General Abhishek Shukla recounts the high points in India – South Africa relations in year 2018 in his article in today's Cape Times. © 2018 Consulate General of India, Cape Town, South Africa. All Rights Reserved.